San Quirico is an ancient village – probably of Etruscan origin – located in the heart of Val d’Orcia, and immersed in a landscape of hills, olive groves, vineyards and oak woods. Here reigns the perfect combination of nature and man-made landscaping. 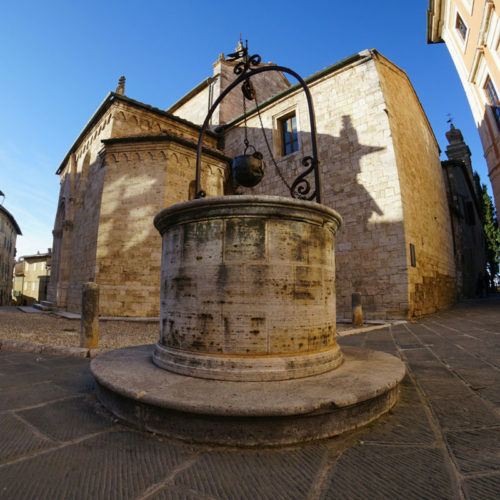 San Quirico d’Orcia is among the must-see places in this charming setting, due to its beautiful castles and medieval churches, in particular the Collegiate and the Church of Saint Francis. Pieve di San Quirico is a Romanesque building where visitors can still admire an altarpiece painted by Sano di Pietro, a Siena school painter from the fifteenth century. In the town’s central square lies the Church of Saint Francis, characterised by various Gothic elements. Walking through the small streets of the Old Town one has the impression of being part of a painting. 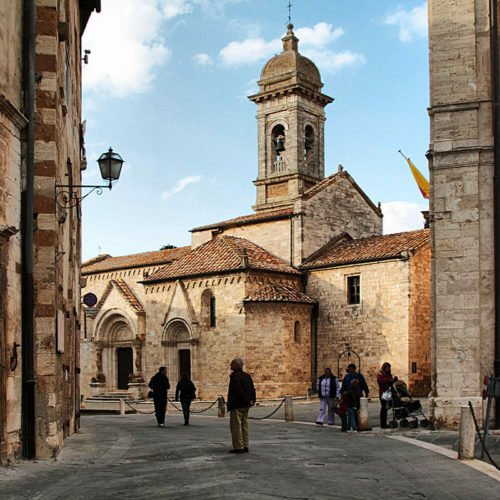 The village of San Quirico is located on what used to be the Via Francigena. The Ospedale della Scala still bears witness to this; it is where pilgrims were hosted. Further, the ruins of the ancient Cassero tower and Horti Leonini are well worth a visit. The latter are typical sixteenth-century gardens, accessed by an entrance between the walls and the main square. Its high number of architectural and natural wonders make this an extremely important, world-renowned cultural attraction. 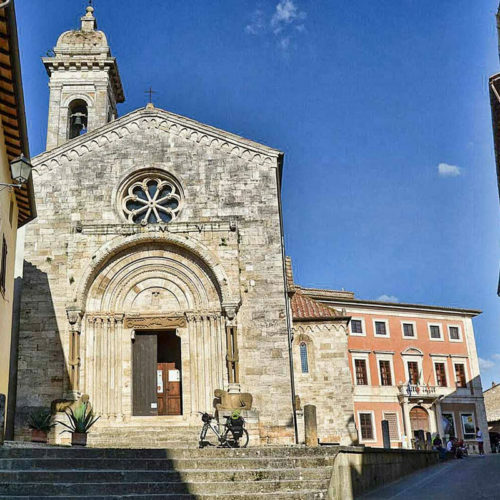 That is why San Quirico d’Orcia and five other municipalities are considered an integral part of Val d’Orcia’s Artistic Cultural Natural Park.